Home to “Dolphin Tale” movie star, Winter—a rescued dolphin that uses a prosthetic tail—Clearwater Marine Aquarium is the perfect family-friendly attraction to visit in sunny Clearwater, Florida. 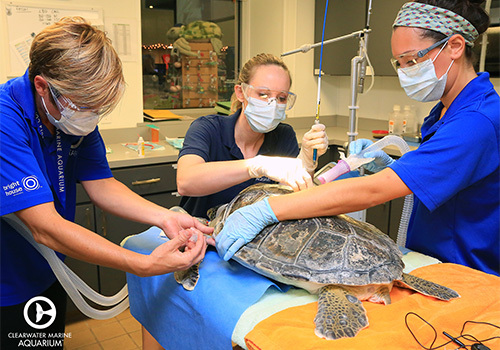 The marine life rescue center is dedicated to the rescue, rehab and release of dolphins, sea turtles, river otters and more. Guests will be inspired and educated by their work through up-close and interactive educational and fun activities and presentations. 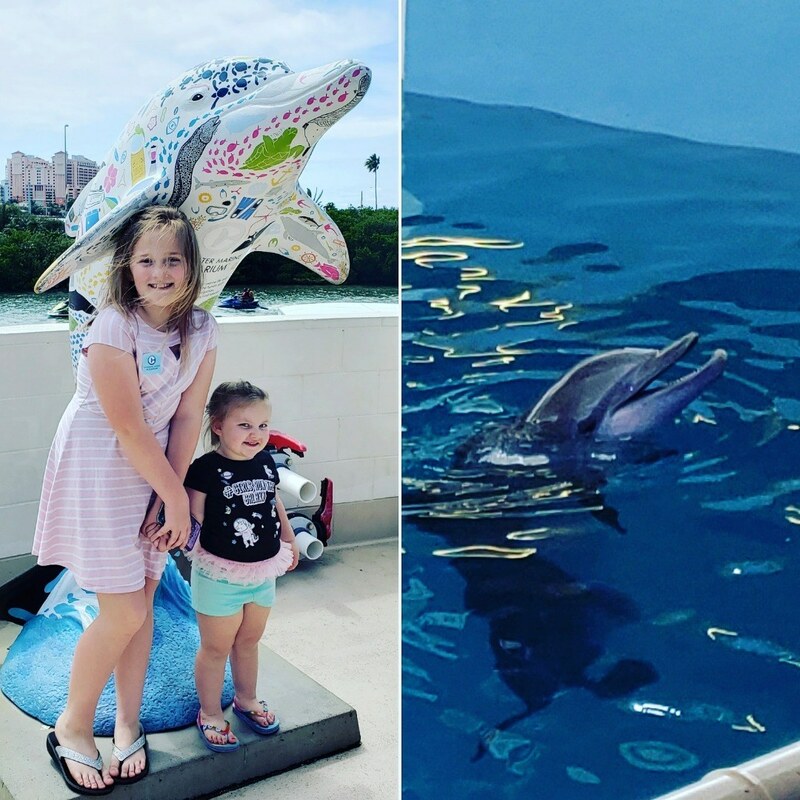 Home to Winter the dolphin, star and inspiration of the hit movies Dolphin Tale and Dolphin Tale 2, both filmed on location. Tickets include general admission to Clearwater Marine Aquarium. Hands-on experiences available for all ages. In 2017, CMA released 29 rehabilitated sea turtles back to the wild. 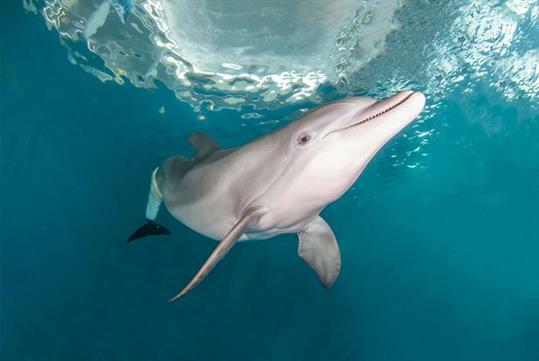 Home to “Dolphin Tale” movie star, Winter—a rescued dolphin that uses a prosthetic tail–Clearwater Marine Aquarium is a perfect family-friendly attraction to visit in sunny Clearwater, Florida. 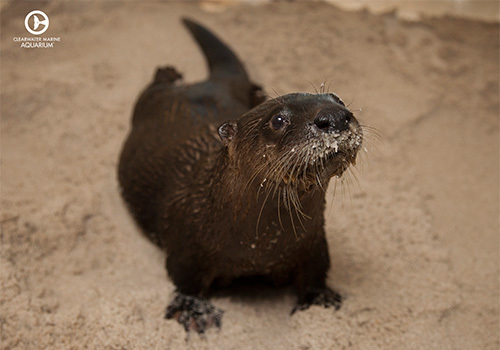 The marine life rescue center is dedicated to rescue, rehab and release of dolphins, sea turtles, river otters and more. Guests will be inspired and educated by their work through up close and interactive educational and fun activities and presentations. 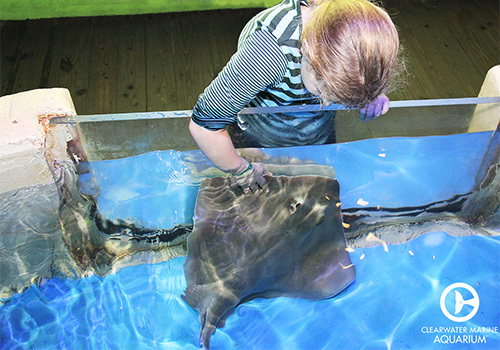 The aquarium hours of operation are 9:00AM - 6:00PM Monday through Sunday. Seasonal hours do apply. 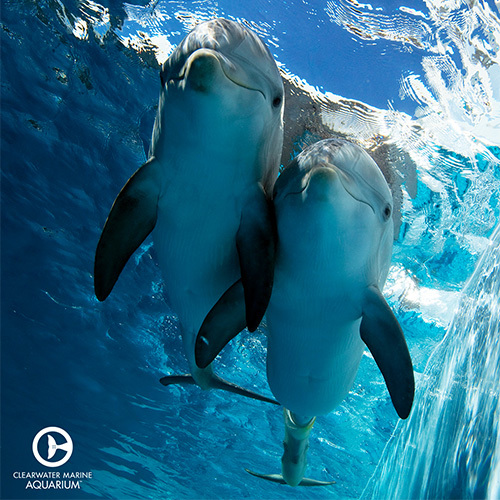 To see current hours of operation, please visit the Clearwater Marine Aquarium website. In addition to admission, does my ticket grant me access to anything else? Guests enjoy a free trolley and/or boat ride to and from Winter’s Dolphin Adventure as part of their admission. 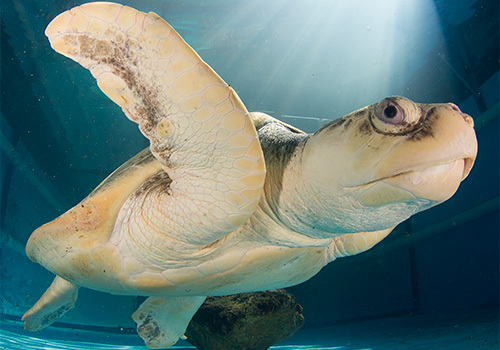 Can I bring my bag into Clearwater Marine Aquarium? Yes, however, all bags, purses, backpacks, etc. are subject to inspection prior to aquarium entry. Is the aquarium ideal for children? Absolutely. 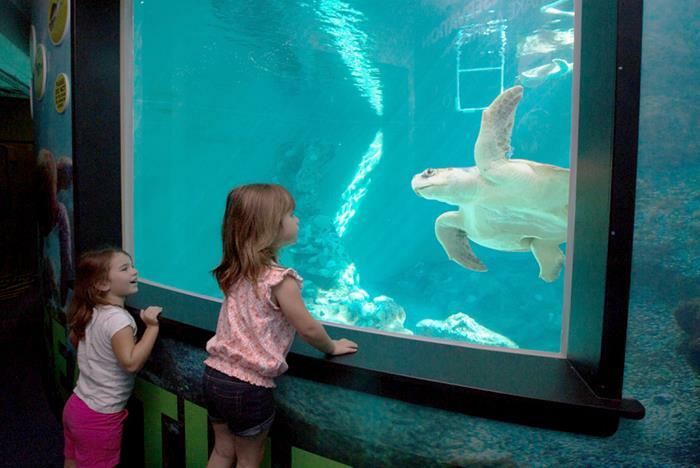 The Clearwater Marine Aquarium has plenty for young children to enjoy. All children under the age of 13 must be accompanied by a parent or guardian at all times. Can I interact with the animals? It is recommended that guests reserve their spot at an encounter program early, as they fill up quickly. Animal interactions are not allowed outside of these specific programs and encounters. Can I bring food to the aquarium? 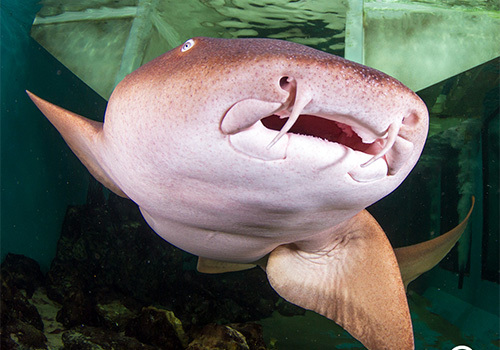 Our Shark Bites Cafe has food and beverages available for purchase within the aquarium, but guests may also bring their own snacks.